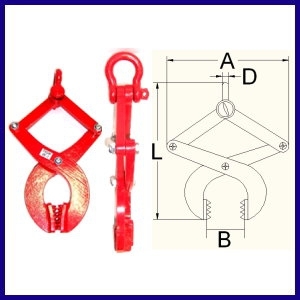 The pallet clamp is applicable to clamp the wooden pallet. The clamped position is made by high tensile iron nail to prevent falling off. The pallet clamp is for loading, discharging and pulling.